This is the area for climate zone enclosure systems. 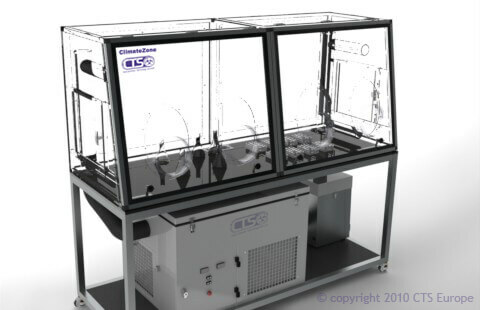 Climate Zone enclosure systems by CTS / A1 are designed to provide a safe and climatically controlled environment for the handling of sensitive drug compounds and pharmaceutical testing procedures. The Climate Zone range of climatically controlled enclosures use a unique patented air treatment system to allow analysts to create a specific controlled temperature and humidity environment. The system creates a localised environment for testing which is much more flexible and cost effective than constructing a dedicated controlled laboratory environment.